Today's card makes me smile because I love this quote from Mother Teresa. If I had a "life quote" this would be it! The stamp is an older one from MFT Stamps. I colored it with Copic markers and I just love the way it turned out. 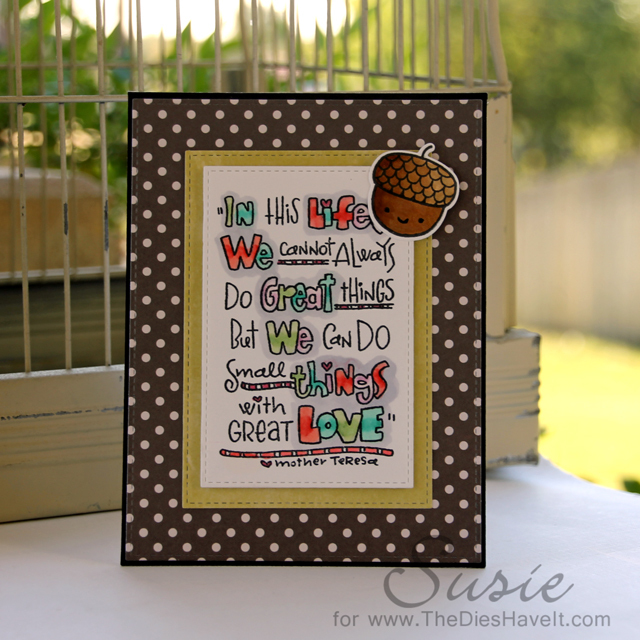 That little acorn is from Lawn Fawn. He is just a cutie-patootie! I hope your day will be wonderful. I'll see you right back here tomorrow.